8.36% Agricultural Growth In 2017 A Result of Prudent Policies” – President Akufo-Addo – NPP USA Inc. 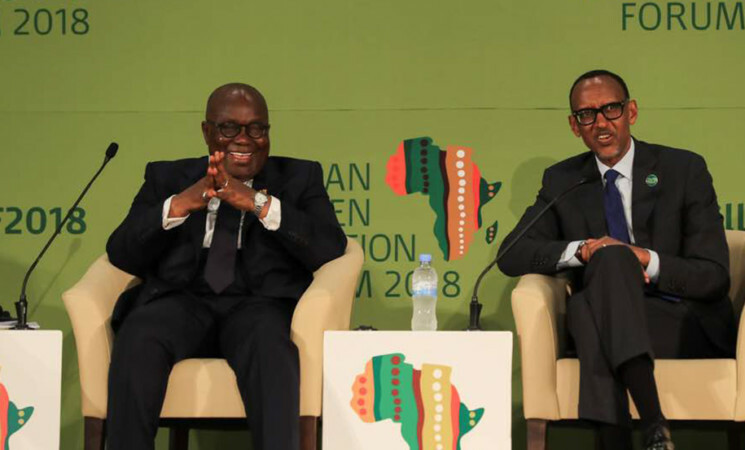 The President of the Republic, Nana Addo Dankwa Akufo-Addo, has attributed the impressive 8.36% growth witnessed in Ghana’s agricultural sector in 2017 to effective policy making and implementation by his government. 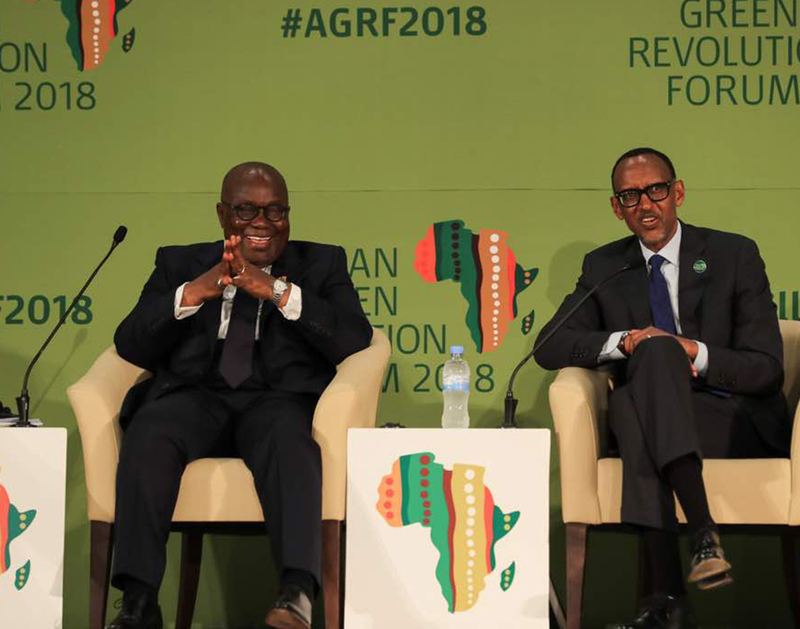 Speaking at the 2018 Africa Green Revolution Forum, a platform for global and African leaders to develop actionable plans that will move African agriculture forward, on Saturday, 8th September, 2018, in Kigali, Rwanda, the President noted that between 2014 and 2016, Ghanaian agriculture witnessed an average growth, over the period, of 2.5%. Indeed, in 2014, Ghana’s agriculture grew at 4.65%, 2.78% in 2015 and 2.95% in 2016. President Akufo-Addo explained that this situation meant that Ghana’s population growth of 3% per annum was outstripping growth in agriculture, resulting, therefore, in deepening poverty and increased rural-urban migration, with its attendant social and economic pressures. The programme for Planting for Food and Jobs, he added, is anchored on five main pillars. These are the provision of improved seeds, the supply of fertilizers, the provision of dedicated extension services, a marketing strategy and the use of e-Agriculture. Additionally, financial instruments such as the Bank of Ghana’s “Ghana Incentive Based Risk Sharing Agricultural Lending scheme”, with a fund of some GH¢500 million the President explained, is targeted at reducing risks of investments and promoting agriculture financing. The results of these polices, the President stressed, have had a dramatic impact on the food crop yields. He indicated that there was an increase in the production of maize, from 1.9 metric tons per hectare in 2016, to 3 metric tons per hectare in 2017; an increase in the production of rice, from 2.7 metric tons per hectare in 2016, to 4 metric tons per hectare in 2017; an increase in the production of soya, from 1.2 metric tons per hectare in 2016, to 2.5 metric tons per hectare in 2017; and an increase in the production of sorghum, from 0.8 metric tons per hectare in 2016 to 1.8 metric tons per hectare in 2017. “The end result has been a significant increase in agricultural output and productivity in 2017, our first year in office. 8.36% was our growth rate in agriculture. For me, the first and most obvious area of success has been policy making and implementation,” he added.